Resilient and persistent, Georgia Sotiropoulos has spent the past 25 years growing in the field of retail. She initially became involved in her profession because of her educational background in marketing; she earned a Bachelor of Commerce in Marketing from the University of New South Wales, and she wanted to be a fashion buyer. Ms. Sotiropoulos trained for the role, and ended up serving as a buyer for seven years. She then transitioned into management and women’s wear before attaining her current role as the general manager of home lifestyle and events at Woolworths Limited. 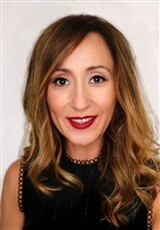 In her position with the Australian retail giant, Ms. Sotiropoulos is responsible for overseeing revenue and the customer experience across the company’s home, office, book and party categories, and developing high-performing teams. She has also handled business, divisional, categorical and brand strategy from development to implementation.